Sometimes it’s hard to find a free stock picture that truly exemplifies the emotion you want to convey. I did find some great pics of jealousy, but they were all $5 each. Nope. Not going to spend money for a pic for a post. I’m a pharmacist, not an actress. I am so thankful one of our sisters brought up this issue and asked me to write about it!!! I think this is always a temptation, no matter how well or how poorly our marriage seems to be going. But, it is probably the biggest temptation to compare our situation to that of others when we are feeling unloved and unfulfilled in our own marriages. There may be times when some wives may not want to read “success stories” even here on my blog if those things are going to be a stumbling block at that time for them. There can be great danger in us comparing our marriage to someone else’s or our husband to someone else’s. – We are not accurate judges. We don’t know all the facts. So we inevitably begin to compare the worst things about our marriage to the best things we think we see in someone else’s marriage. That is not at all fair, or accurate! We end up comparing our husband’s weaknesses to the perceived strengths another husband has. We compare the thing that we believe we are missing from our marriage with someone who seems to have that one thing. A wife with a man who doesn’t compliment her much may miss the fact that he doesn’t pummel her with criticism either. And a wife whose husband is critical of every little thing may not really value the compliments he gives because she focuses on all of the criticism that is so generously doled out, too. Each personality has strengths and weaknesses. There isn’t a personality with all strengths and no weaknesses. It is easy for wives of steady men to wish their men were more like command men or visionaries, to wish their husbands were more decisive and had more initiative and to miss the benefits of their calm, easy going, gentle men. It is easy for wives of visionaries to wish their men were more steady. It is easy for wives of command men to wish their husbands were not as exacting and were more laid back. That is a destructive mindset. Let’s be thankful for the strengths our particular men have and let’s also praise God that He is able to use even our husband’s sin and weakness to help mold and shape us to be more like Jesus and that God made our husbands have their particular personalities for His good purposes. We don’t stop to realize that people, marriage, husbands, control, babies, houses, money, having what we think we want – none of those things will ever truly satisfy us. Jesus is the only One who can truly satisfy our souls! – Comparing quickly turns into covetousness and jealousy. That is sin. Jealousy almost always brings with it depression, bitterness and resentment because of our unmet expectations. Our jealousy and bitterness grieve God’s heart, hurt us and destroy the unity in our marriages. It makes it hard for us to respect our husbands and honor them when we are so busy wishing they were like someone else. When we want what someone else has, or what we think they have, we are not content with what God has given us and what we have. God calls me to be thankful in everything, to not complain and to be joyful in my hope in Him. God calls us to be content in Christ alone regardless of our circumstances. Through His Spirit’s power, thankfully, we can be content in Him whether we are feeling very loved in our marriages of not. What a priceless gift! – Another person’s marriage has nothing to do with us. God has different plans for each of us. That is going to have to be ok. His wisdom is greater than ours. In my view, it is much healthier if we keep our eyes on Jesus – not our husbands, not our friends, not our family, not our pastor, not our situation, not anyone or anything but Christ. He is our power source. He is our greatest Treasure. Let’s focus on finding all of our contentment, peace, joy and strength in Him alone. We can ask Him to help us learn all we can in each trial and to give us greater faithfulness to Him. We can trust Him to lead us exactly where He wants us to go. Then we don’t have to be jealous at all. We all have the same access to the same God, the same Savior, the same Lord, the same Spirit, the same Body and the same eternal inheritance. PRAISE GOD! When those feelings and twinges of disappointment in our husbands come, as they are bound to do, let that be our signal that we can only truly find contentment in Christ, not in any sinful, imperfect person. It is wise to check our motives. Are we putting something above Christ in our hearts? Do we have a godly marriage as an idol? Or a person? Or are we trying to find fulfillment, happiness and joy in something other than Jesus? If so, it is time to repent and turn to Christ with all our hearts and keep our hearts and minds focused only on Him and fully submitting to His Word and His commands. – Take every thought captive to Christ, so if we begin to find ourselves comparing our husbands or our lives to someone else, We have to immediately realize what we are doing and shoot that line of thought down, replacing it with truth from God’s Word. – Remember that it is disrespectful to compare your husband to someone else. I know we don’t want our husbands to compare us in a negative way to other women! – Focus on Philippians 4:8 things about our lives, our husbands, our marriages and our current situation. If we focus on thanksgiving and praising God, it is impossible to be jealous, bitter or resentful. I’d love to hear what you have learned to do to avoid comparing your life or situation to someone else’s! Maybe we can emulate those who have allowed God to use their tragedies and difficulties to bring glory and honor and praise to God – like Joseph in the Old Testament, Job, Hosea, Jeremiah, Jesus, the apostles, etc? They are incredibly godly examples to us of how to face adversity with great faith in God, seeking only to bring honor to Him. 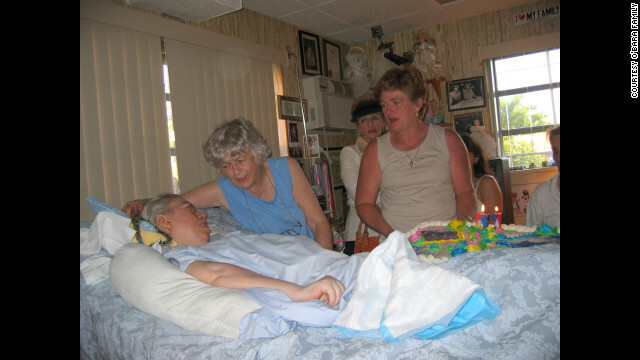 – Take care of an invalid child/sister who is in a coma from the time she is in elementary school for 42 years and minister to her and demonstrate agape love for her to all who come to visit you like Edwarda O’Bara’s family was called to do? From www.cnn.com Edwarda O’Bara with her caregivers, her mother and sister. Edwarda O’Bara went into a coma around Christmas in 1969. Her mother spent the rest of her life caring for her daughter and talks about the privilege it has been to get to take care of her little girl. Her sister also helped and took over completely after their mother died until Edwarda died 42 years after going into a coma. This is what godly love looks like! Here is a tangible, living portrait of God’s love in this precious family! – Showcase His grace and sufficiency in your life in the midst of a disease or disability like Nick Vujicic was called to do? Nick was born with no arms and no legs. He has one “foot.” He is now a powerful evangelist for the gospel of Christ. He suffered severe hardships. He was depressed and in despair over the future prospects of his life as a child. He wondered how he could ever be a husband if he couldn’t even hold his wife’s hand one day. Later, he decided, “I may not be able to hold my wife’s hand, but I can hold her heart.” He was married a few years ago and has a son now! This man has the joy and Spirit of God in him. God uses him to reach people precisely because of his physical limitations and through his disability. He is able to reach the hearts of people that he could never touch if he had a perfect body. He has a book out “Life Without Limits.” (I haven’t read it. If you have, I’d love to hear about it!) If you get the chance, please watch this 4 minute video about his life about focusing on what we DO have, not what we DON’T have, about being thankful and about how with God, life has no limits for any of us. Read about him. Watch some videos about his ministry and his story. You will find a man who is spiritually fantastically rich who is thankful, overflowing with joy and mightily used by God. – Be imprisoned or be a martyr for Him like Meriam Yehya Ibrahim, 27 years old, 8 months pregnant has been called to do. 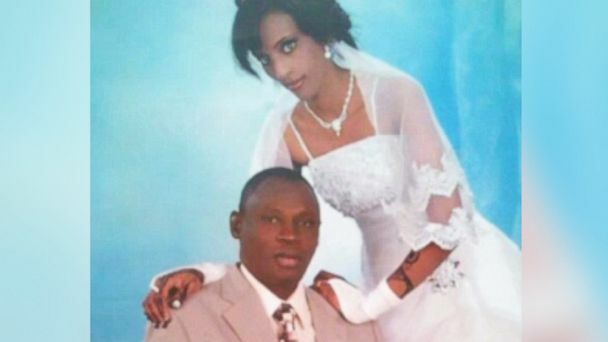 She has been sentenced to death in the Sudan because she refuses to renounce Christ. Wow. PRAISE GOD for her! Pray for her! Her husband is in a wheelchair. She was his primary care giver. Her 20 month old is allowed to stay with her in prison, but is having health issues and infections because of the unsanitary conditions and bugs. Her pregnancy has been difficult, but she has not been granted permission to go to a private hospital. The government declares her to be a Muslim, even though she is a Christian, because her father was Muslim. They declared her marriage to be unofficial because it is to a Christian man and she was sentenced to severe physical punishment for “adultery”. May God’s greatest glory be accomplished in her life and in her family! I pray God might spare her life. I pray for her safety, her health and her release and for provision for her husband and children. Please join me in praying for her! Most of all how I pray that she will know God’s presence and power in the most tangible way in that prison cell and that she might shine for Christ and be faithful to Him no matter what and that through her suffering for Christ, many might come into the kingdom. For I have learned to be content whatever the circumstances. 12 I know what it is to be in need, and I know what it is to have plenty. I have learned the secret of being content in any and every situation, whether well fed or hungry, whether living in plenty or in want. 13 I can do all this through him who gives me strength. Maybe, we don’t need to compare ourselves to anyone, but rather, fully submit ourselves in total trust to Christ, allowing Him to use our lives the way He believes is best. It will be different for each of us. Let’s be content with what God calls US to do each day. He has a unique calling on each of our lives that will ultimately result in God’s greatest glory and in our ultimate good in light of eternity – to make us more like Jesus – if we are willing to fully trust Him. May Christ be greatly glorified in each of our lives no matter what the personal cost to ourselves. God’s will for believers does include suffering, even though many pastors don’t preach that anymore. Please read James 1, Romans 8 and I Peter. God uses suffering to make us more like Jesus. Jesus was not exempt from suffering. Why would we be exempt from suffering? If we suffer for God’s will and for His purposes, we are greatly blessed!